All third-party headsets will need an adapter to work with Xbox One, not just past-gen peripherals. If you plan on getting an Xbox One at launch and have begun planning out your purchase order, you might want to hold off on picking out a new headset. It seems the Xbox One will require a special adapter to use any and all third-party headsets, even ones designed specifically for the platform. 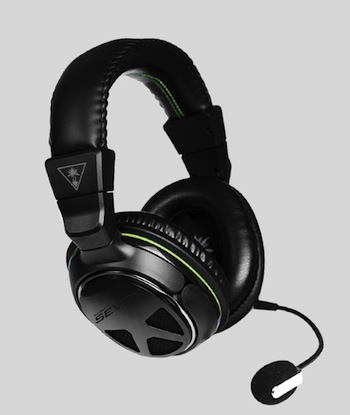 The news comes from Turtle Beach, who announced last week that their first Xbox One headsets, the XO Four and XO Seven, won't hit stores until the adapters are available in early 2014. Microsoft announced they were producing a headset adapter earlier this year, presumably to make Xbox 360 headset compatible with the new console, which has a new proprietary controller port. It turns out the headset will be required to plug any third-party peripherals into the controller. Turtle Beach says they will wait to release the XO Four and XO Seven so they ship the adapter in the box with their headsets. In the meantime, the Xbox One will come packaged with a basic headset. Meanwhile, Turtle Beach will have four PS4-compatible headsets available at launch: The next gen-tailored PX4, the Call of Duty Ghosts Phantom edition headset releasing alongside the game, as well as the PX 51 and 510 sets, which were released earlier this year. All three cross-platform headsets - the CoD Phantom, PX 51 and PX 510 - will require a firmware update to work with the PS4, which will be available at launch.